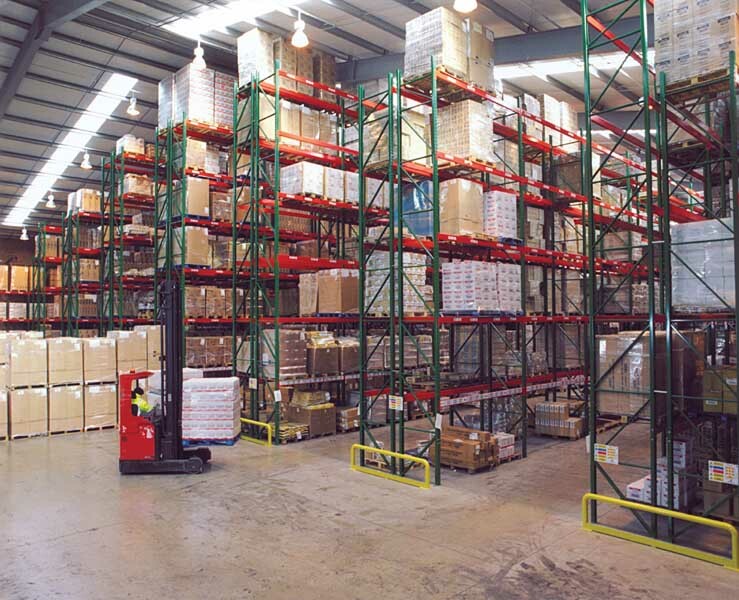 Businesses with high-volume warehousing and distribution require cost and space efficient storage solutions. 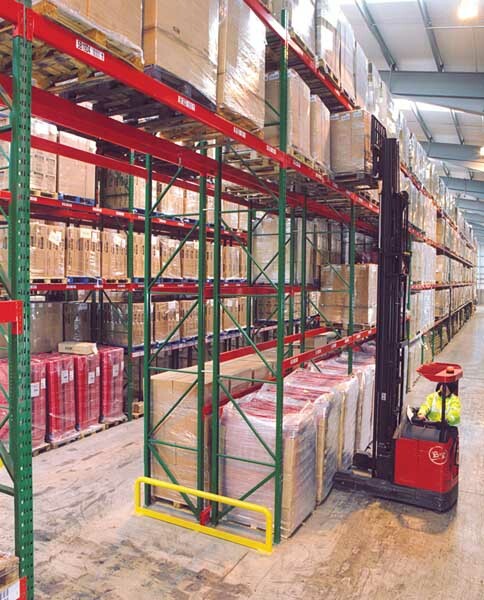 The Stiller Group is one of the largest privately-owned transport, distribution and warehousing companies in the UK. Rapid expansion meant that the company required larger premises, so it moved to a new head office and national distribution facility in Darton, South Yorkshire. The newly extended facility offers customers a total of 340,000 sq.ft. of storage and boasts features such as a fully secure site, experienced personnel and fully integrated warehouse management systems. 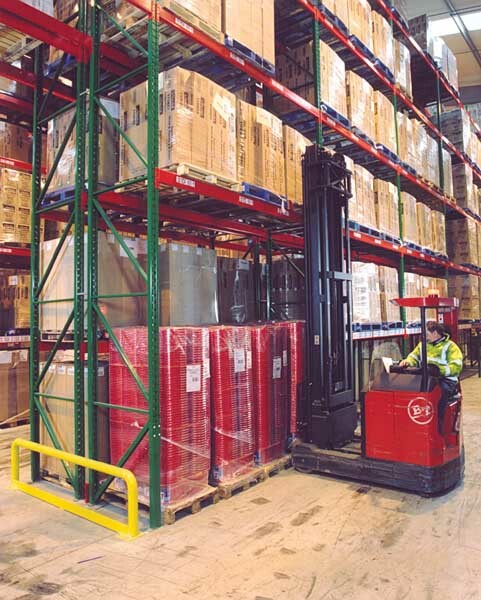 With wide experience of storing and distributing an extensive range of products, The Stiller Group is able to offer manufacturers and distributors a bespoke service for the storage and distribution of their palletised products. The £7 million expansion involved 5 warehouses. 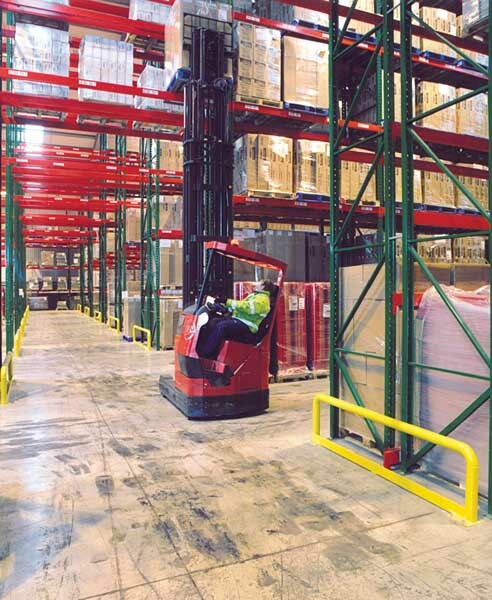 Stiller approached Redirack having used them successfully in the past, to supply and install a wide aisle storage system in warehouse 5. The storage system consists of 9 runs of rack, 7 of which are double entry, and 2 single entry. The system has 8000 pallet locations, which are used for fast moving consumer goods such as food, beauty and electrical items. The pallets are stored three to a bay, and because the roof height varies, each bay may have 4,5, or 6 beam levels. The scheme rises to over 10 metres in places, and due to the clever organisation of the rack, beams can store standard 1000mm x 1200mm or 800 x 1200mm Euro pallets. The Redirack sacrificial leg is used throughout the scheme to enable rack damage to be quickly and easily rectified. Alexander Brown, the Business Director responsible for the operation at Darton, commented, “Redirack was very competitive in comparison to other suppliers in the marketplace. As a company, we have used them before and benefited from Redirack’s commitment to offering a complete service. We have also found that the sacrificial leg not only saves us money but is also very positive from a health and safety perspective.